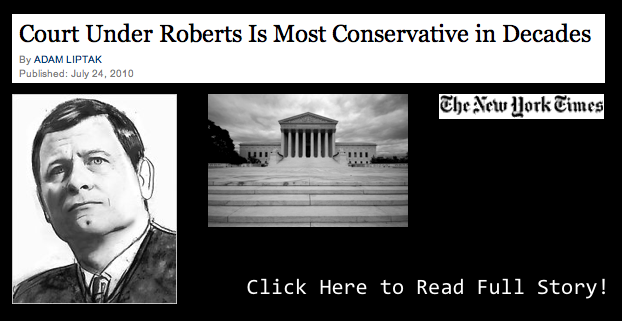 The Sunday New York Times features an article by Adam Liptak assessing the conservatism of Robert Court. The article features some good coverage for some of the leading law and political science scholars who study the United States Supreme Court. Well worth the read!